Adam Ellis, a staffer at the Kiwanis Kavaliers, sent in this one. 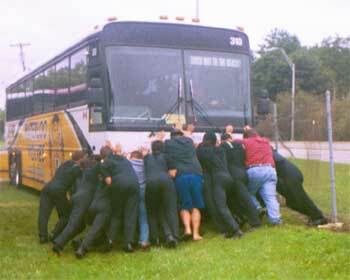 "I snapped this shot of some of our members unsticking the bus shortly before heading to the brass warmup. Oh boy." Thanks Adam!